How tanky is too tanky? Hauntzer demonstrates just how tanky Nautilus can be. Yesterday, in the North American League Championship Series, Team SoloMid faced off against FlyQuest in a great series between two teams in the top half of the NA LCS standings. But, upon further analysis, an interesting video came out showing just how TSM was able to finish off the nexus in game one of this series. 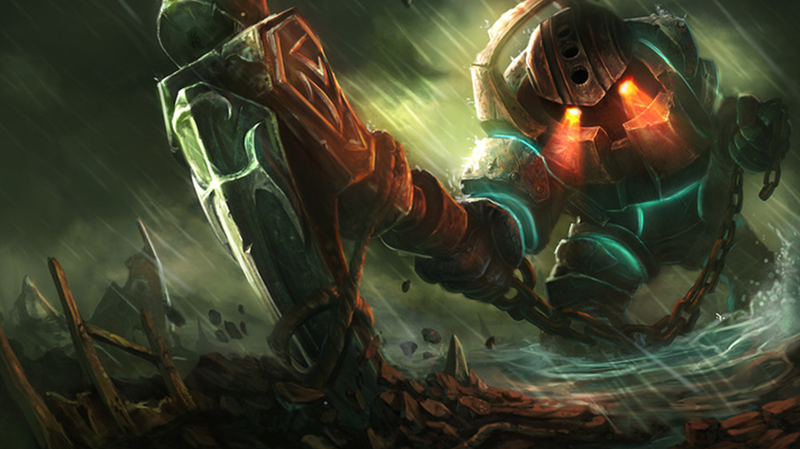 Kevin “Hauntzer” Yarnell, the top laner for TSM, was playing the champion Nautilus. As a Baron-empowered TSM rushed through the bottom lane in an attempt to end the game, Hauntzer did not want to wait for the minion wave to catch up with his team. In order to take FlyQuest’s nexus as soon as possible, Hauntzer chose to tank some turret aggro; but he was able to tank several more turret shots than most people would expect. To be fair, Nautilus was very strong at this point in the game, but tanking a total of 31 tower shots has to bring up a discussion on how strong certain tanks are in the current meta. Hauntzer did reset the tower damage a few times by getting out of range, and he had some help from a Redemption, however, tanking at least one tower, and at times both, for 35 seconds and taking a total of 31 hits is a bit excessive in my eyes. But, on the other end of the spectrum, tanking is his job; Nautilus is a tank, so he is supposed to be a meat shield for his team. It’s also important to notice that Hauntzer wasn’t even full build when the game ended, as he only completed three defensive items (Sunfire Cape, Spirit Visage and Frozen Heart) along with a pair of Ninja Tabi boots. After watching Hauntzer take 31 tower shots with that build 30 minutes into the game, one can only imagine how many tower shots Nautilus can live through once he reaches full-build.